With friendly prices and expert technicians, Firestone Complete Auto Care is one of the best automotive repair shops in Budd Lake. Make an appointment now! When your car or truck needs repair in Budd Lake, there's only one place to go: Firestone Complete Auto Care. Cars need routine maintenance and preventative fixes in order to run strong for 200,000 miles and beyond. What's more, fixing little issues ahead of time can help prevent major problems and expensive repairs in the future. Some signs are readily apparent, like warning lights on your dashboard or drips in the driveway. Other times, you may not be able to tell that your vehicle needs a repair or service, however, there's one thing every driver knows: when something just feels wrong! Fortunately, you can put your trust in the qualified technicians at your nearby Firestone Complete Auto Care to help keep your car tuned up and driving its best. Visit your local auto repair shop in Budd Lake and we'll begin with a completely free courtesy check. Knowledgeable technicians will check out your steering and suspension, hoses, belts, fluid levels, brakes, tires, and more, all to get to the bottom of your car trouble. The right auto repair begins with the right diagnosis! After technicians inspect your car or truck, we'll provide you with a complete report of your vehicle's health and discuss any repairs that should be performed. With almost a century of car care experience, we know how to get your vehicle back to peak performance. From tire alignment to brake pad replacement, transmission to tire repair, we can do it all. We're your one-stop auto repair shop in Budd Lake! We believe in customer satisfaction and safety above all else. That means we'll never recommend a repair that isn't necessary and we'll always do our best to fix your vehicle right the first time. And that’s a guarantee, backed by our Triple Promise – a promise that every job will be Fixed Right, Priced Right and Done Right on Time. That is just how we do business! So whether you're dealing with clunking under the hood, troublesome leaks, or your car just isn't performing like it used to, make an appointment online at your closest Firestone Complete Auto Care for quality advice and sound auto repair in Budd Lake. When your car goes farther, so do you! 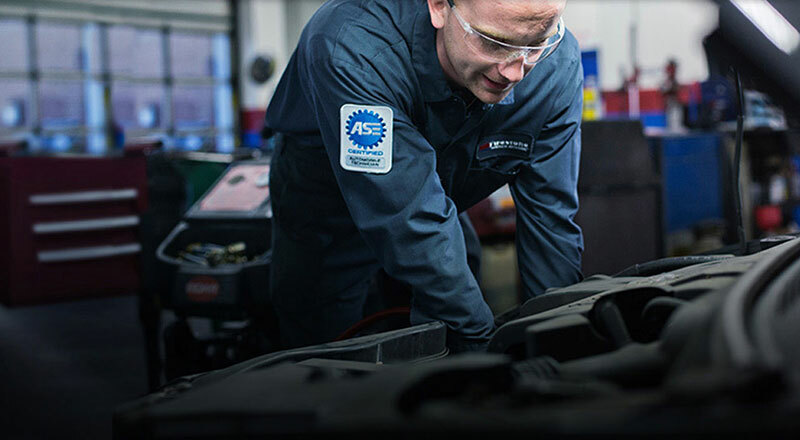 From transmission work to steering and suspension to tire repair, trust your nearest Firestone Complete Auto Care for your car repair and maintenance services. We're an automotive shop, tire store, and car care center wrapped into one. Our highly qualified technicians care about keeping your vehicle running newer, longer. Regardless of the maintenance your car or truck needs, we promise affordable prices and exceptional service. Experience the difference! Make an appointment for auto service in Budd Lake, New Jersey today.